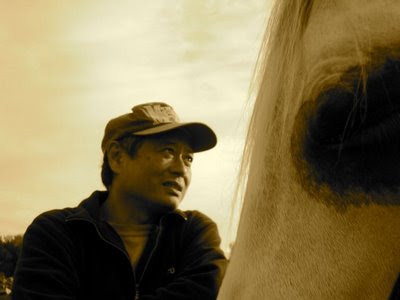 Film legend Ang Lee meets film legend RJ Masterbug--my sister Cari Swanson's star horse. They shot a scene together in Lee's upcoming movie "Taking Woodstock" (2009). Woodstock is just across the Hudson River from Dutchess County. Shot on location, September 2008.